I am trying something new in the evenings. It involves only a few minutes, a pen, and a piece of paper. Can you guess what it is? A Gratitude List. A list of all that I am thankful for from that day. 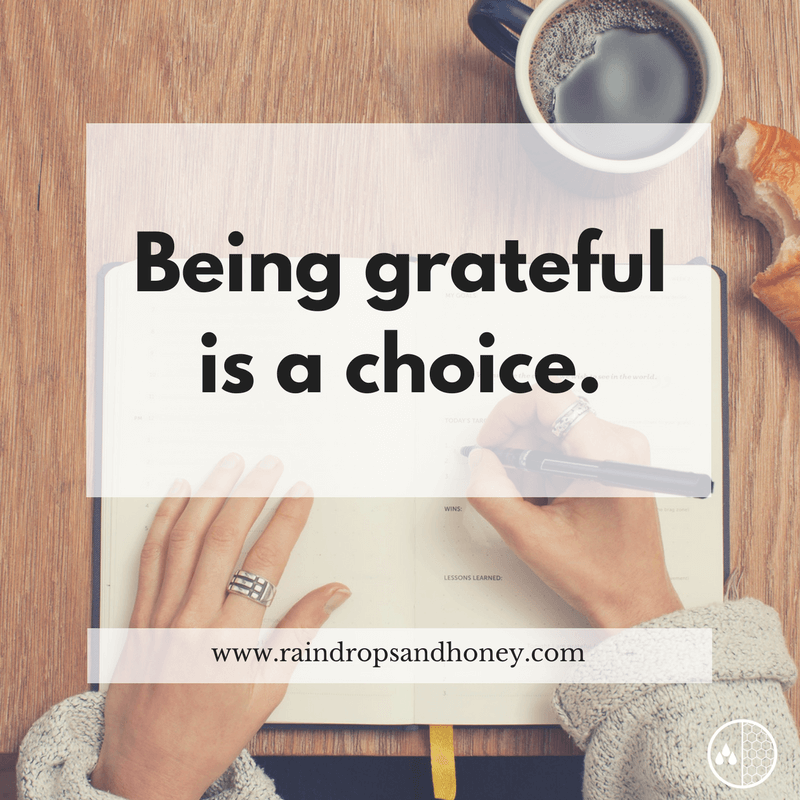 Why a gratitude list? Because I have learned that it’s a discipline to be grateful. A choice to focus on the blessings. With Thanksgiving a couple days away, I wanted to share about the 10 things I’m grateful for. I am thankful for God’s grace. Every day I need it when I struggle. God continues to lavish His grace on me no matter what I do. What a precious gift! I am thankful for my husband. Jonathan is God’s greatest gift to me. He is my biggest encourager and challenges me to be more like Jesus. Jonathan cherishes and loves me like God intended. I am thankful for my children. Micaela, Nathan, Analiah and Caleb are also some of God’s greatest gifts to me. I love watching them grow and am honored to be their Mom. I am so thankful for my friends! Over the years, God has used friends to challenge me, carry me through some hard times and encourage me. I am more like Jesus because of my friends. I am thankful for my family. My parents have each passed on so many qualities to propel me in life. My siblings are each gifted in many ways and I am challenged by that. I am thankful for my in-laws and their legacy of love and faithfulness. I am also thankful for Jonathan’s siblings and their families. I am thankful for the bible. It is my favorite book of all time. The bible is filled with so many promises and truth. It’s my guide each day and a love letter from God to me and each one of you. I never want to take for granted that I own a bible. I am thankful for food. Those who know me well know how much I love to eat. Burgers are definitely a favorite! I am thankful for the ability to write. I love encouraging women in their walks with the Lord and helping them see Jesus in their everyday life. I am thankful for books. My love of reading started early in my youth. I used to devour books and sometimes still do. Reading is very life-giving for me so I still carve out time to do it. I am thankful for you, my readers. Thank you for using your valuable time to read my blog and email newsletters. That was fun writing about what I am thankful for. There are so many more things I could add to this list. There is always something to be grateful for! Here is my challenge for you. Take some time today or over the next few days to make a list of what you are grateful for. Have fun writing your list! I would love to read your lists so please add it to the comments below. Remember, being grateful is a choice. Choose gratitude today and every day. Have a Happy Thanksgiving!! ← Notifications – Good or Bad?